Jim Carrey may be an excellent comedy actor, but he’s also brilliant when he’s showing his serious side. 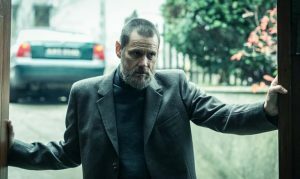 A new trailer has been released for the sinister thriller Dark Crimes and it shows Carrey trying to prove that an author’s eerie novel links him to a similar crime in real life. The film comes from director Alexandros Avranas (Miss Violence) and is based on a 2008 article written by David Grann. Dark Crimes will be available on DIRECTV from 19th April, before being released in select cinemas from 18th May. Check out the trailer below and immerse yourself in its moody and mysterious atmosphere.